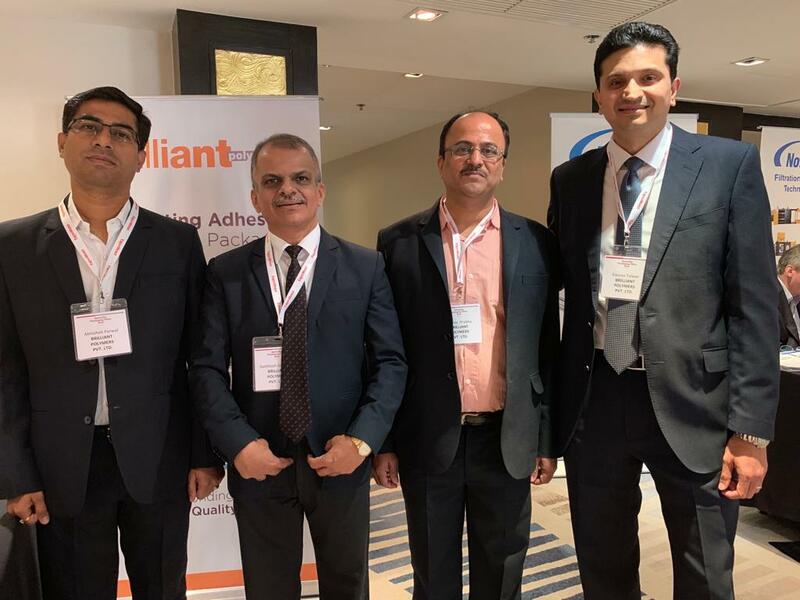 Brilliant Polymers participated in the Specialty Packaging Films Asia 2019 seminar in Bangkok, Thailand, 19 – 20 March 2019. AMI’s Specialty Packaging Films Asia 2019 conference on films and flexible packaging enabled packaging specifiers, users and producers to discover the latest advancements in raw materials, films and converting and how they can be applied to add value, strengthen brands and improve consumer appeal. With increasing public awareness and support of sustainable packaging initiatives in Asia, the pace of new developments is gathering momentum. The 2019 conference had a session dedicated to exploring sustainable pack design and end of life options, covering a wide range of viewpoints from raw material supplier to recycler. The enhancement of barrier properties in multi-layer structures is also seeing significant development, helping boost shelf life and prevent product waste. Leading plastics processing experts shared new developments in high barrier film solutions, including advances in polyolefins, additives and coating technologies. Food contact safety is of critical importance, but it can be complicated to navigate and keep abreast of changing rules. The conference took a detailed look at current regulations for packaging safety and key considerations for all parts of the supply chain to understand. Brilliant Polymers is represented in the Thai market through Louis T Leonowens – a local distributor which supplies Brilliant’s solvent based and solvent free laminating adhesives in Thailand. Brilliant is a creating a healthy market share in Thailand through local sales and technical support. To educate and spread awareness in the Thai packaging market, Brilliant Polymers made a technical presentation ‘Trend & Technology of Lamination Adhesives and Cost Saving’ at the Thai Printing Association meet on 16 March 2019. The presentation emphasized on solvent-free adhesives. The participants appreciated the knowledge shared on the latest developments in solvent-free adhesives including high performance end uses and versatility across a wide spectrum of laminate constructions. This was appreciated by local packaging companies. With its promise of technology, quality and service and local sales and technical support, Brilliant Polymers targets to make the Thai market a key focus area in its export’s strategy.